Noam Chomsky comes into my local dive bar in Brooklyn fairly regularly. NC likes to sit quietly, soak in all the attention from passersby, and just hang out enjoying the scene. I often hear girls getting really excited over the fact that Noam is in the bar, running over to say hello. I’ve never heard NC utter a single word, but somehow manages to create this kind of local celebrity aura without even trying. Everyone knows who Noam Chomsky is, to the point where it’s really a novelty, with people highly anticipating NC’s appearance. Perhaps it’s the gentle persona, the kindhearted and welcoming approach NC takes to all those who casually saunter by, say hello and strike up conversation. Maybe it’s the dark lighting that provides a cave-like atmosphere, a safe hideaway for a would-be celebrity who hardly considers themselves such. Here’s the Catch: Noam Chomsky is a petite, tan, female pit bull. Hardly a lauded American philosopher and Historian, some guy in Brooklyn thought it would be ironic to name his female hound after the “father of modern linguistics”. And he was right. When you think about the idea of building what I’ll call “local celebrity” in this case, which is little more than a brand with a loyal following, such as Noam Chomsky (or his owner) has, it’s because there’s something unique and curious about her that distinguishes her from other potentially similar dogs in the neighborhood. She has a funny and endearing name that exudes irony when you think about taking an old male persona and applying it a sweet, puppy-faced… puppy. And as a result, people remember who she is, which has allowed her to create a significant amount of visibility within the community. And as a result, most everyone who frequents this particular bar, and many neighborhood locals, now know who Noam Chomsky is, and they want to interact with her. She has a very targeted audience of lager-slugging, pinball loving, Brooklyn dive bar hipsters, with a very defined value that she brings to the table: she’s cute, friendly, and provides a positive user experience to anyone who interacts with her. NC has clearly established herself as friendly and loving, open to engaging strangers. This gives her an edge up on other dogs in the bar, whose temperament and openness to attention isn’t quite as familiar to the patrons, and thus poses an increased risk and lack of confidence for potentially interested audiences. The Important Takeaways Here: Brand visibility and recognition, clearly communicated value, relatable and attractive for the prospective audience to engage with: a perfect (and slightly unconventional) lesson in the simplicity and straightforwardness of effective personal branding. 1 Comment on "Noam Chomsky Walks Into My Bar: An Unconventional Lesson in Branding"
!!! 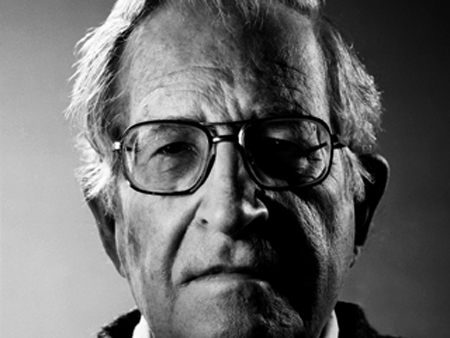 I love Noam Chomsky. She is the sweetest thing ever!